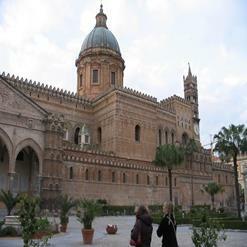 Also known as the square of shame, Piazza Pretoria is a square located in district Kalsa, right in center of the city of Palermo. A fountain named Fontana Pretoria dating back to 1554 is located right in the center of the square. There are beautiful buildings surrounding the square on three sides and one side is a down staircase.